A meal in one crust, you can't beat it and my boys just love it. 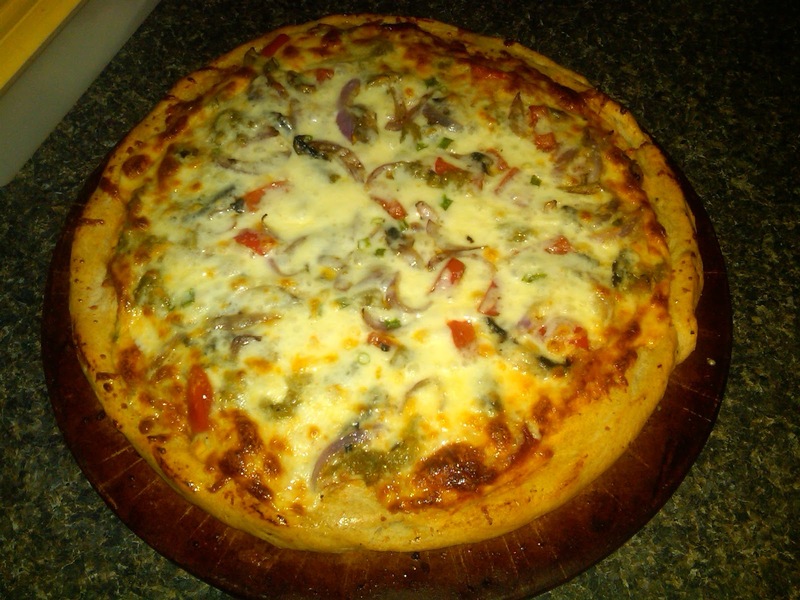 and I have found one simple recipe for a whole wheat pizza crust. 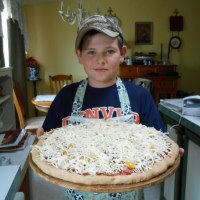 Follow the link below to find the recipe and then create your very own pizza. I make 2 crusts at a time, so we can have double the goodness. 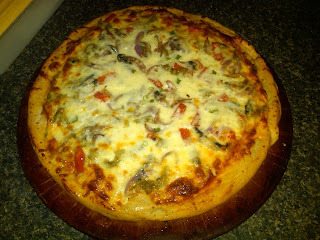 I must say Pizza homemade is by far the most delicous and filling thing yet. And the whole wheat is so much better for you!